Fifteen years ago, the human world stopped and listened in horror as they learned there were shapeshifters living among them. After years of fighting, the lycans, therians, and otherkin live side by side with humans. With laws, struggling to keep pace, the need for a specialized agency to handle the crime associated with shapeshifters and otherkin became a priority. Meet Detective Macy Gray, she lives in Desert Rock California, and is part of the Bureau of Paranormal Investigations, Southern California unit: her job is investigating crimes committed by and against therians, lycans, and the otherkin. When a lycan attack takes the life of a police officer, the loss sends hate and resentment through every department, and gives voice to their mounting differences. Solving the latest case becomes impossible when lies, murder, and deceit surround the detectives of the BPI. To her horror, Macy finds herself in the middle of that chaos. With shapeshifter crime on the rise, a divide is building between humans and shifters. Can the BPI solve their internal problems in time to stop the fragile relationship from shattering? The Department of Justice arrives to investigate the BPI, with its newly formed shapeshifter and otherkin team, known as Blood Rain. Agent Kayne Sinclair, alpha of the Moonlight Pack, heads the unusual group. Their job is to find the spy within the BPI using their animal senses. With law enforcement viewing the detectives of the BPI as cops who couldn't make it in the human world, society viewing them as the cleanup crew, and the paranormal viewing them as assassins, can they recover. When Detective Gray meets Agent Sinclair for the first time, it’s under demanding circumstances. With human, shifter, and otherkin lives at stake, are they willing to put aside their differences? Is Agent Sinclair willing to help Detective Gray heal old wounds? 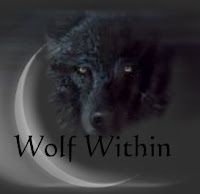 Can Detective Gray put aside her dislike of lycans and trust a man who has a- Wolf Within?